NEW YORK, May 23, 2013 -- The LEGO Group today unveiled the world's largest LEGO model, a 1:1 replica of the LEGO® Star Wars™ X-Wing starfighter, in New York's Times Square. 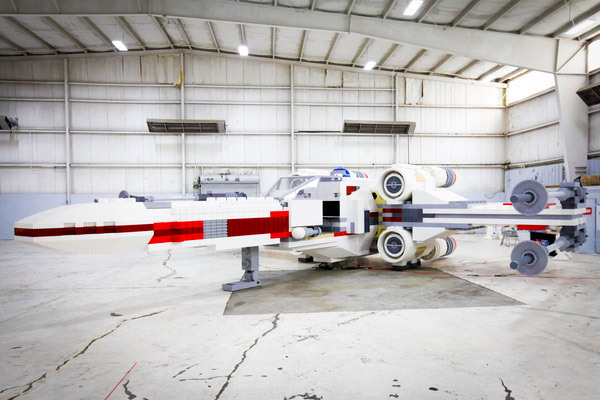 To celebrate the upcoming premiere of The Yoda Chronicles on Cartoon Network on Wednesday, May 29 at 8:00 p.m. (ET, PT), the massive replica took 32 master builders, five million LEGO bricks and over 17,000 hours to complete. The model weighs nearly 46,000 pounds, stands 11 feet tall and 43 feet long, with a wingspan of 44 feet. 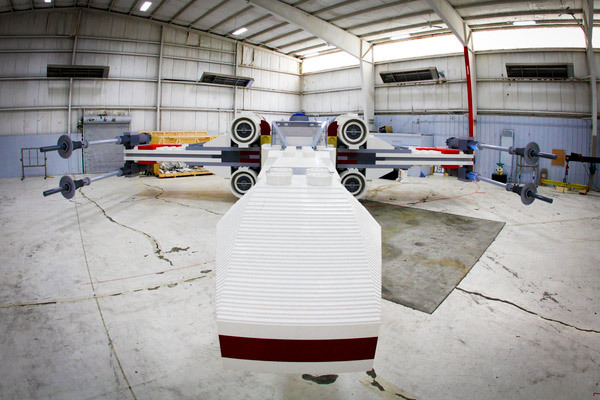 The Model will "take off" for a summer landing at LEGOLAND® California Resort where it will be installed through the remainder of the year. LEGOLAND® California Resort Builds Largest Expansion In Resort's History! CARLSBAD, Calif., Jan. 17, 2013 -- LEGOLAND® California Resort's General Manager Peter Ronchetti announced new additions, a national Junior Concierge search and employment growth with new jobs to come when North America's first LEGOLAND® Hotel opens April 5. 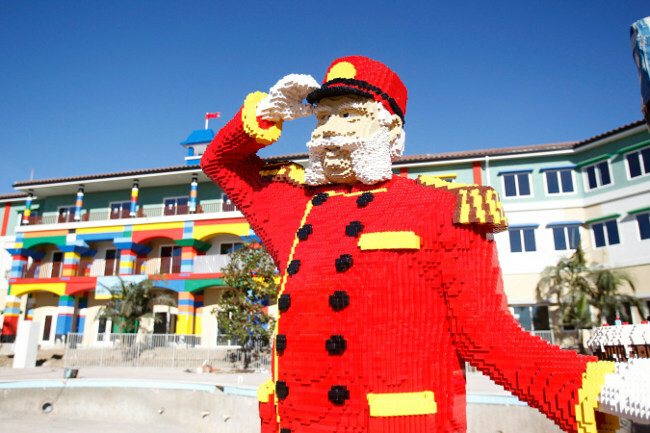 "With annual additions, LEGOLAND California Resort is a multi-day destination proving the need for this multi-million dollar hotel," said Ronchetti. "With the Hotel comes new jobs and our HR team is filling 250 positions. Not only has the Resort grown tremendously since opening in 1999, but we have truly heightened the economy in the area providing up to 1,610 Model Citizens (employees) averaging 5% growth annually since 2004. Our employment numbers have increased 62% in the last eight years!" Calling All Mini Model Builders!! LEGOLAND® Discovery Center Wants You!! YONKERS, N.Y., Jan. 7, 2013 -- With LEGOLAND® Discovery Center Westchester set to open on March 27, 2013 at Ridge Hill in Yonkers, the attraction is looking to build the final piece of its creative team — the Junior Construction Panel — and today launched an online search to find the tri-state area's most creative and brightest youngsters to join the panel. 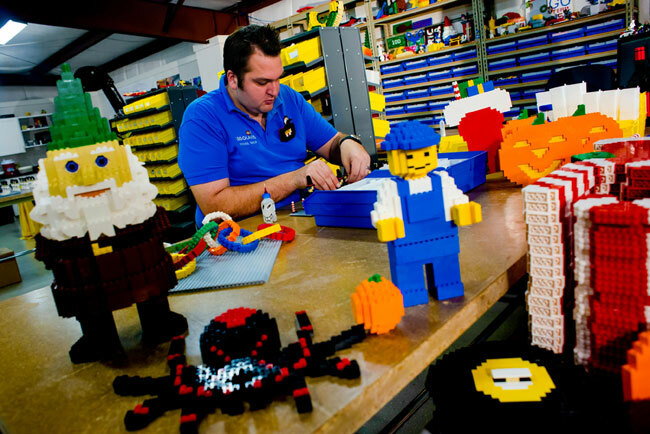 WINTER HAVEN, Fla., Oct. 31, 2012 -- LEGOLAND® Florida announced it is seeking qualified applicants for a new, in-house Master Model Builder to join its team. Essential job responsibilities include envisioning, designing and building unique LEGO® creations. "Master Model Builders are royalty here at the park," said General Manager Adrian Jones. "They enjoy celebrity status and when they're not being interviewed by reporters and paparazzi, they spend eight hours a day playing in the model shop. Who in their right mind wouldn't want this job?" Would-be builders must first submit a short video clip of themselves and a home-made LEGO® creation. Candidates will be culled through Facebook voting, then invited to the park December 1 and 2 to participate in a series of skills tests. Details on the video submission and the search are available at http://Florida.LEGOLAND.com/MMB. GRAPEVINE, Texas, Sept. 20, 2012 -- LEGOLAND Discovery Center Grapevine is hosting open auditions to find the attraction's next Master Model Builder during a public build-off competition held on Saturday, October 6 starting at 1 p.m. and Sunday, October 7 starting at noon at Grapevine Mills Mall. There are only three other people in the U.S. that carry the official designation of LEGO Master Model Builder at a LEGOLAND Discovery Center. Applicants from all over North Texas and the surrounding region will gather at the Grapevine Mills Mall Food Court for two days of intense competition, where a fourth person will get the chance to win the dream job and full-time salaried position of Master Model Builder.